The scibe research project was officially finished in June 2013, but the cooperation we have established through scibe-Reykjavík is bearing fruit. A book is coming out with contributions, text and images, from a crowd of more than 60 people. Thanks for a great input everybody! Artists: The Art Nurses/Listhjúkkur (Anna Hallin and Ósk Vilhjálmsdóttir), Bryndís Björnsdóttir and Ásmundur Ásmundsson, Silliness/Kjánska (Anna Björk Einarsdóttir, Magnús Þór Snæbjörnsson and Steinunn Gunnlaugsdóttir), Hugdetta ( Margrét Blöndal and many of the artists involved in Dyndilyndi, Hugleikur Dagsson. Creativity in the Built Environment’ (SCIBE), a collaborative research project between three European Universities. The research was based on the analysis of processes in four European cities: London, Oslo, Reykjavik, and Vienna, www. scibe.eu, and the funding was provided by HERA, Humanities in the European Research Area. environment, and how a revaluation through the spectacles of design could lead to more sustainable practices. build-up of the city, adapting it to changed needs after the crash. 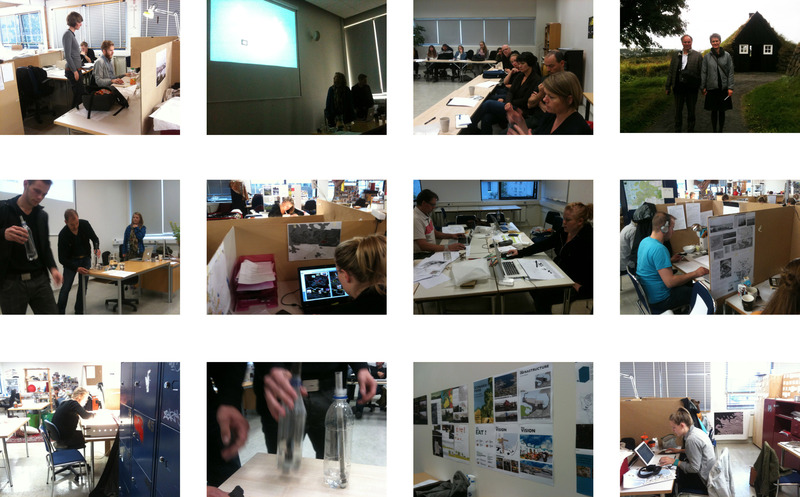 Two workshops (14 days in 2011 and 10 days in 2012) were organised in collaboration with local institutions, involving students from many continents, studying within the disciplines of architecture, planning and urbanism. A cross-disciplinary team of experts was invited to the workshops to present problems and potentials of the different urban systems (water, transport, the economy, ecology) to be used for an integrated approach to design that would better support the economy. Local agents of change, who had experimented with alternative practices on the fringe, were also asked to attend, to share their knowledge for a creative process of learning. crash, with respect to the built environment. Stakeholders also had an opportunity to comment on the student projects. ful processes of the past decade. Mapping recent developments adds to our understanding of the challenges we face and the urgency to rethink the decision making processes and management of the manmade environment. Hnattrænar breytingar í fjármálaheimi og veðurfari valda óvissu um hönnun hins byggða umhverfis. Gæti góð hönnun borgar og húsakosts verndað íbúana fyrir sviptingum á fjármálamörkuðum jafnt sem fyrir veðri og vindum? Það ríður á endurskoðun á því hvernig hönnun getur gert byggt umhverfi seigara til að anna búsetu þegar aðstæður breytast. Ný samhengi rýmis og starfsemi má finna í byggingum, reitum, hverfum og borg. Kasta verður á glæ geldum starfsaðferðum sem sköpuðu fjölmörg vandamál fyrir höfuðborgarsvæðið og íbúa þess fyrir hrunið og þróa nýjar í staðinn. 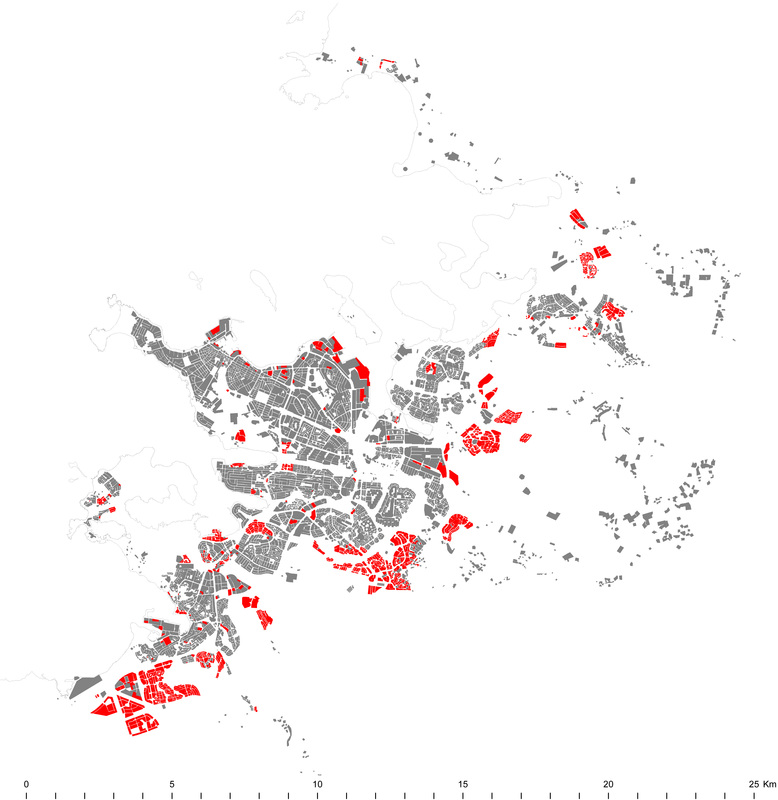 Ógöngur í hraðri umhverfingu umhverfisins (2002-2008) birtast í brotakenndu borgarlandslagi sem er íþyngjandi fyrir vistkerfið. Það veldur ójöfnuði meðal fólksins, skuldum og háum viðhaldskostnaði. Hin nýju hverfi (aðallega íbúðarhverfi) sem voru í byggingu síðustu 6 árin fyrir hrun eru u.þ.b. 25% af fótspori borgarinnar, og eru þau aðallega staðsett á jaðri borgarinnar þar sem hún svo skýrt mætir náttúruöflunum. The problems after the financial crash are inestricably intertwined with the organisation of the built environment in the RCA in the prelude to the climax. The new disposition of the city can be traced to competition between the 7 municipalities in the capital area. The “local agenda” of each municipality was to attract more taxpayers: Inhabitants and companies. If the companies were could not decide the location and the shaping of the built environment around their business in one municipality, they would move their business to the next one. The households suffer for inconvinient environment which could have, had there been political will, been well designed and resilient in the crisis. In the anticipation of new parliament elections we ask if which of the 20 agencies running for the election (including only 2 women in their leadership) have political will to contribute to the environment coming under control instead of the plans and thus the peoples lives will continue to be determined by random market forces. Published by DV on March 8th 2013. A blessing or a curse? Investment in Iceland and the built environment. In Iceland, there is a general belief reflected in ruling politics (the left is still in power when this is written in March 2013 and all points to the right taking over in a couple of months) that foreign investment will solve the financial problems of the country. Seen through our lens of the built environment however it seems that this might on the contrary deepen the economic problems and the crisis of the urban landscape. The article was published in Fréttablaðið on December 12th 2012 and was posted by central bloggers in Iceland. It generated extensive discussions and “foreign investment in the built environment” was by the end of the year selected by the jokers as “the deal of the year” (guess for whom?). The rise and fall of Reykjavík? This article questions the logic of a new masterplan which is being designed for Reykjavík and presented in spring 2013. The politicians claim they are implementing sustainable plans for the city learning the lessons from the crisis. However, this article suggests that the problems posed in the built environment, by the bubble and the subsequent crash, are ignored and the old city and the green structures of Reykjavík are in danger of damage by the new plans. 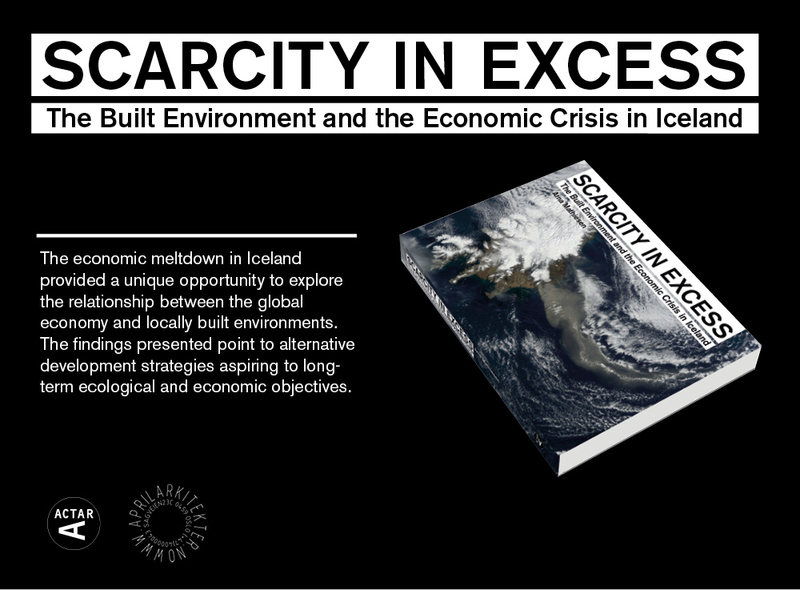 The article was published for scibe by one of a couple and certainly the most widely read architecture blog in Iceland. The blog generated lively discussions in the city. Thanks to Hilmar Þór Björnsson, the blogging architect for the publishing. Óskandi hefði verið að nýtt aðalskipulag tæki sannfærandi á misheppnaðri skipulagsstefnu síðan fyrir 1970 sem magnaðist að áhrifum síðu stuárin fyrir hrun og til hverrar má rekja mörg aðalvandamál, einstaklinga, ríkis og sveitarfélaga þessa dagana. This article published in Fréttablaðið problematizes democracy in the current planning processes and discusses how methods in architectural education, sketching up and discussing alternative futures, might be a useful tool after the financial meltdown. The presentation of new urban plans Reykjavík after the crash express dissociation to the developments in the boom, and there seem to be many new ideas about how to increase public involvement in the processes. However, the actual plans open up many questions: To which degree are the new developments a legacy of the past? How much public involvement is really welcomed by the authoroties? Are neighborhoods that were badly hit by the crisis worse or better off with ‘new’ policies? And: Does the scale of the plans affect how willing the authorities to involve the public in decisionmaking. (The article was published in the Fréttablaðið daily paper and triggered a response from politicians that are currently responsible for the developments). Fagna ber nýlegum pistli ráðamanns hjá Reykjavíkurborg um góð tengsl borgar og sjávar. Gott ef Geirsgata verður gerð að borgargötu og bílum þannig verði gert minna hátt undir höfði í borgarmyndinni. Tilvísun í skala gamla bæjarins fyrir nýbyggingar, og endurnýting gamalla bygginga í miðbænum er til fyrirmyndar. Greinin kallar þó fram áleitnar spurningar. 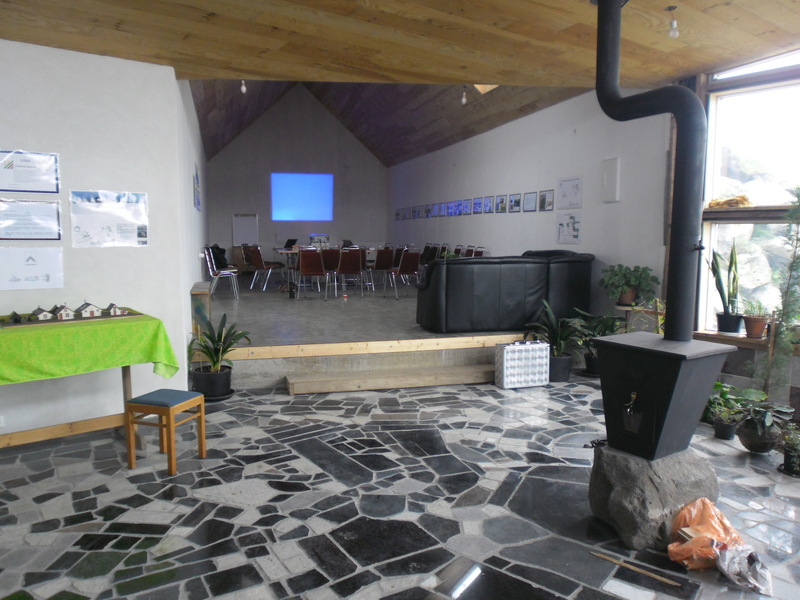 Thus scibe-Reykajvík is proud to have had the honour of organizing the 1st seminar held at the brand new Flói Exhibition Hall, at the Íslenski Bærinn (the Icelandic Farmhouse). We are very greatful to Hannes and Kristín for hosting the event at this wonderful place they have dedicated countless hours to developing and conserving for the last 20 years. The floor of the exhibition hall is paved with the leftovers of the crash, cut-offs from kitchen countertops of decorative stone material shipped from exotic locations around the world showing off superfluous lifestyles of the homes. This residue material would otherwise have been discharged into a land fill. 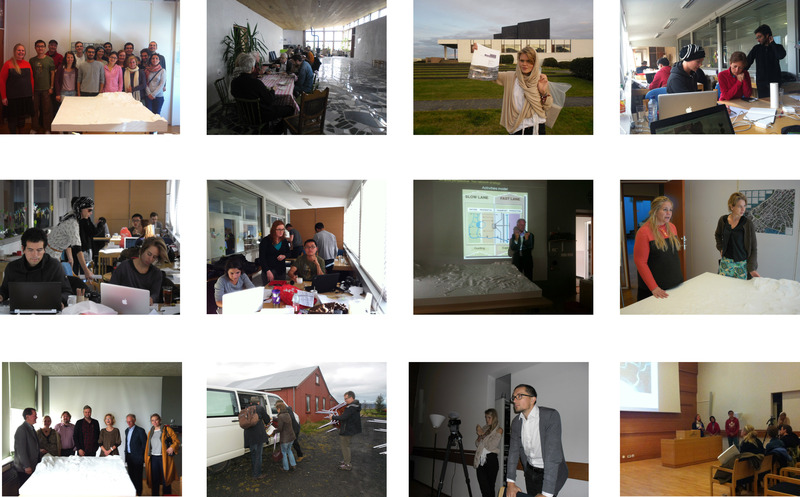 At the Nordic House in Reykjavík, September 24th 2012, marking the end of an intensive SCIBE workshop hosted by LBHÍ.